Did your Pet ever desire to fly? My Pets surely do occasionally and hence I tried to get them the most beautiful wings around in Neopia. I started a thorough search just to become aware that there are lots of lovely wings around. There are in fact so many of them that I could simply not decide which one to take. However, there are seven wings that my Pets and I like the most. Are you curious which wings we have in mind? Keep reading! Your Pet likes to explore the land and most of the time the two of you are hunting for treasures? In that case I strongly advise you to get the Adventure Map Wings. This NC item was a bonus item and awarded to all those who bought the five limited edition mystery capsules during 2010's "The Great Mystery Capsule Adventure Continues" event. Hence they are quite rare and it is not common to get one. However, it is well worth the effort. You will never ever again need a map to find your way around. All you have to do is to take a look at these useful wings and you will know immediately where you are since they have a map of Neopia imprinted. The annual Chocolate Ball took place recently and I really hope you and your Pet did not miss out on the occasion to enjoy yourself. Even if you do not own a Chocolate Pet (which would of course be preferable for the event) there are still plenty of wearables that will help you to get a proper dress for the special event. And of course there are also some wings on hand, namely the Sugar Cookie Wings (~19,000NP). These delicious wings have been awarded for entering your pet into Neopia's Style Showdown - Sugar and Spice in 2010. Hence there are many of them around and they are not that expensive. Nevertheless those wings are perfect for the Chocolate Ball as they fit perfectly into the theme. There are even additional sugar toppings to make them more yummy. How can you resist? Each year on the 20th day of the Month of Gathering the Faerie Festival is held in a new place, depending on which Faerie is hosting the event. The Faerie Festival is always a very special event in the Neopian calender, especially since the fall of Faerieland during the Faeries' Ruin plot in 2010. All the Faeries meet and I am sure they have a really good time. Have you ever thought about sneaking in in order to see all the Faeries in one place and marvel their beauty? I surely did and so do my Pets. Of course they will need some wings in order to fit into the elusive society of the Faeries and the Translucent Faerie Wings are perfect for our purpose. 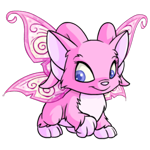 Unfortunately they have been released only recently, therefore only a few are up for trade at the moment and those are very expensive (~700,000NP) But since they are only of rarity 72 I am convinced that more will follow in no time at all. Or maybe you try to restock them on your own. Good luck! Of course your Pet will also need some suitable wings to fly during the cold and long winter. The Sparkling Snowflake Wings are just perfect. This limited edition NC Mall item is unfortunately retired since early 2010. Hence you will have to trade for it but I think you should definitely do so in order to prepare your Pet for the upcoming winter season. Equipped with these amazing wings no snow storm will be able to prevent your Pet from flying around and I am sure you will have a lot of fun in Snow Valley! 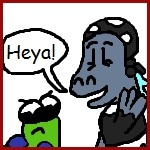 Each year on the 28th day of the Month of Relaxing the Acara Aquatic Festival takes place and also it is explicitly stated that mostly Acaras are invited they told me secretly that they are more than happy to welcome any other Neopets species to join them for the Festival. Of course you will need proper wings that help you to navigate under water and look stunning at the same time. The Shimmering Fin Wings fulfill both criteria at the same time. However, there is one drawback. Unfortunately this NC item has been retired already in 2009. Hence there are not many around and you might have a hard time trading for one. However, I think it is well worth the effort. Last but not least I want to share my favourite wings with you. The ones that my Pets would really like to have. The most beautiful wings in Neopia that are made to complete every stunning customization. The Floral Pattern Faerie Wings. These amazing wings are an NC item and have been retired only recently in the month of Relaxing. I love them because of all the flowers that are included and due to the colours it looks like spring came around early. It reminds me of the best season in the year. Just take a look at them and I am sure you will share my feelings. With these last wings I want to end my short overview about wings. Of course there are many more stunning wings (both NC and NP items) are around and I am sure you will find a suitable wing for your Pet in no time at all. Thanks for reading!